Who knits these days anyways? A fan has given Tay the best gift that she considers her ‘everything.’ Check it out here. Taylor enjoys spoiling her fans with gifts but this past week Tay was surprised with an awesome gift herself! A very dedicated fan actually knitted and jersey for her with Polaroid from the 1989 tour. 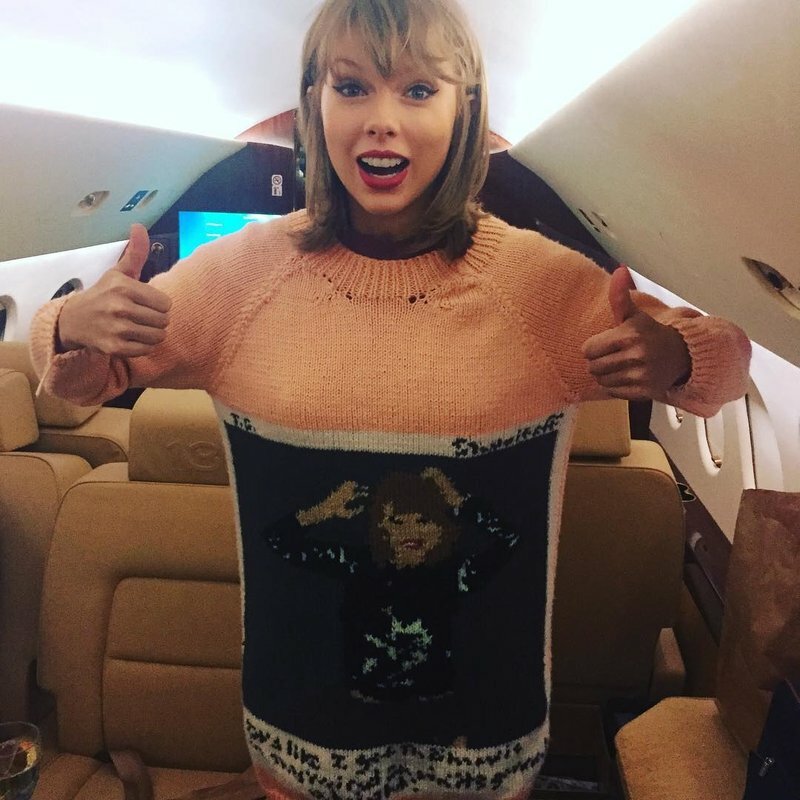 The sweater was given to Taylor’s mom at one of her shows and Tay was excited to share her new favourite clothing item with the world. "Someone knitted this sweater for me of a Polaroid of myself and gave it to my mom tonight at the show," She posted on Instagram. "It has very quickly become my everything.